Raghuvir Singh Tomar, a farmer in Rajasthan’s Looharwas village, says that for first time in two years he expects to make a profit of Rs 1.2 lakh by selling around 6 tonnes of wheat he cultivated on his 3 hectares farmland. “Earlier, it was difficult to even recover the investments because I had to spend Rs 20,000 on buying tanker water for irrigation.” But the construction of 19 water conservation structures in the village situated in Sikar district by the Watershed and Soil Conservation Department (WSCD) last year has significantly improved the situation. The structures include contour check dams, mini percolation dams, soak pits and farm ponds. As a result, soil moisture has increased in the village. “This season, I could irrigate my field from my well,” says Tomar. India's desert state is witnessing a revolution of sorts. In January 2016, the government launched its ambitious Mukhyamantri Jal Swavlamban Abhiyan (MJSA) to make the state drought free by 2020. Within six months, 94,941 water harvesting structures were constructed in 3,529 of the state’s 21,000 villages. About Rs 1,300 crore were spent during this first phase of the programme. And the impacts are starting to become visible. Hardas Ka Bas, another village in Sikar, has harvested a bumper crop this year, just like Looharwas. “I have earned more than R1 lakh by selling tomatoes and mustard. This is five times of what I earned last year. The village now has access to uninterrupted supply of potable water,” says Nathu Singh. 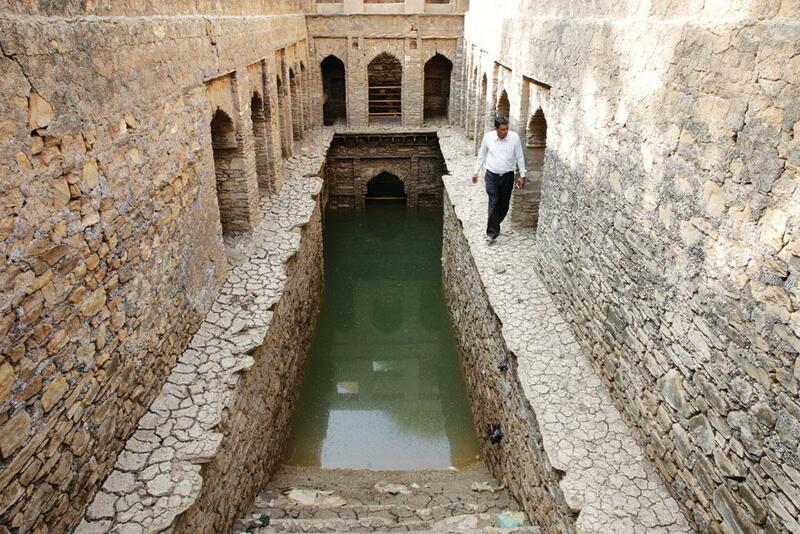 “The overhead tank in the village gets filled up with groundwater in just 80 minutes. Till last August, it took more than three hours to fill half the tank,” says Kailash Kanwat, sarpanch of the village. “The first phase of MJSA got over in June 2016. The plan is to make all villages across Rajasthan self-sustainable in terms of water sources within four years,” says Anurag Bharadwaj, Commissioner, WSCD, Rajasthan. The key feature of MJSA is that it brings all water-related projects undertaken by various government departments under its umbrella for effective implementation. No new construction is taking place under MJSA itself. MJSA follows, what the officials call, “ridge to valley” approach to conserve and harvest water—from the catchment area in the ridge to the valley where the runoff flows. Geographic information system (GIS) and remote sensing technologies are being used to get data on groundwater level, soil moisture, topography and rainfall to decide the location of structures. Geo-tagging is being used to track the projects and the progress is published by the government online, informs Sushila Yadav, deputy director, GIS Lab of WSCD. Geo-tagging also helps in completing projects in time due to better monitoring. “Almost 99 per cent of the 96,000 water harvesting projects planned in the first phase were completed before the monsoon last year,” claims the chief minister (see ‘It is about garnering participation’). The government has also allowed district-level officials some discretion in using the funds. Kunj Bihari Gupta, District Magistrate of Sikar, says, “Though the location of structures is decided in consultation with various stakeholders, MJSA allows the district magistrate to decide which village needs water structures first. For each block R2.25 crore has been allocated by the state and the collector can use this fund even in other blocks if required,” he adds. “We can also ask for funds if there is a shortage,” says Rajendra Prasad, superintending engineer, WSCD, Sikar. Naragaon, which comes under the Hardas Ka Bas panchayat, is one such village. Kailash Kumar of Naragaon says people from his village have to go to Hardas Ka Bas to get drinking water and to buy tanker water for irrigation. 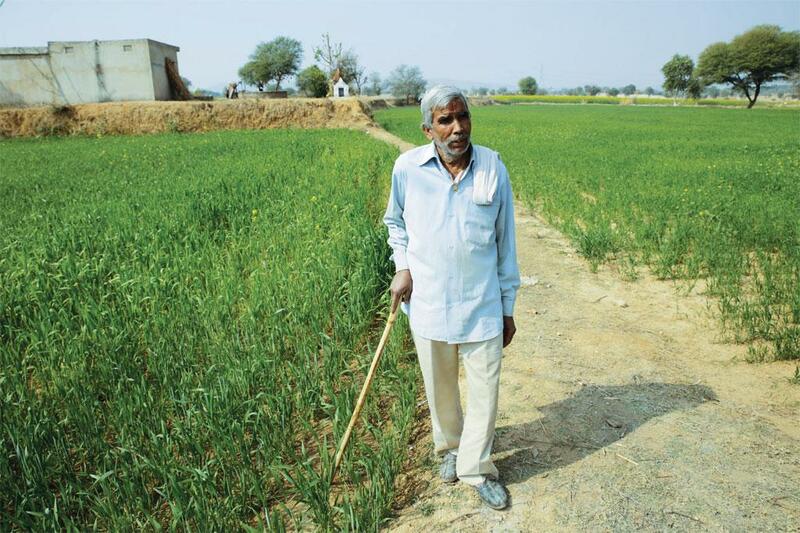 “This year most of us could not buy water to irrigate our crops,” says Kumar. Officials, however, say that since Hardas Ka Bas already had a few watershed projects underway, they decided to focus improving the water availability in that village, hoping that the villages around too would benefit. Some also suspect that MJSA may end up benefitting only contractors, which is what happened in Neeru Meeru, a programme similar to MJSA, launched in Andhra Pradesh in 2000. The programme depended too much on technology and was run without much participation of stakeholders. It was also based on a top-down approach (see ‘Tryst with rain’, Down To Earth, 16-31 October, 2000). In initiatives like MSJA and Neeru Meeru, the village community signs a memorandum of understanding with the district authorities to allow them control over the running of the programme. Gradually, the bureaucracy completely takes over what is supposed to be a participatory process. This gives rise to resentment amongst the stakeholders. While the Neeru Meeru programme mentioned the importance of keeping contractors at bay, it did not happen. 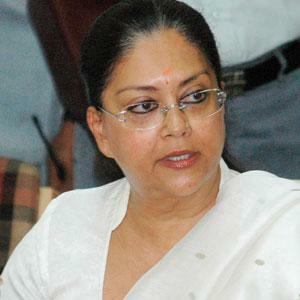 Prasad says that in Rajasthan contractors are being closely monitored and work under direct supervision of government officials. Nirmal Sengupta, National Fellow at the Indian Institute of Advanced Study, Shimla, says that the government officials should be in constant communication with village communities, learn from them and ensure that the programme grows into a mass movement. It is too early to assess the impact of MJSA, says Rampal Bisht, programme manager of Rajgarh-based charitable trust Lakshmi and Usha Mittal Foundation. The start, though, has been good. How many villages have benefitted from the Mukhyamantri Jal Swavlamban Abhiyan? In the first phase, which has been completed on June 30, 2016, some 3,529 villages were taken up with almost uniform distribution over the state's 295 blocks. In all, 96,000 works were undertaken, of which 94,941 had been completed prior to the onset of monsoon, a phenomenal success as far as implementation is concerned. Also, 2.8 million trees were planted, all around these water-harvesting structures. A five-year maintenance plan has been given to the forest department, which is the nodal agency for planting trees under the project. Rajasthan is known for traditionally harvesting rain. Why do the communities once again need to be made aware of the old systems under this initiative? It is not just making them aware of it, but about garnering participation. There was utmost concentration and emphasis on watershed development activities in scientific manner. A striking feature of the abhiyan has been the ridge to valley approach [the total water conservation package, starting from hills which are the catchment to valley where the runoff flows] and adhering to the "Four Waters" concept [rainfall, runoff, groundwater and soil moisture]. One of the basic tenets of this programme has been to involve people in all stages—planning, execution and maintenance. Village residents, who are well-versed with water-harvesting methods, participated in the survey [to plan the location and specification of the water harvesting structure suited to an area] along with the officers and engineers, resulting in the selection of the most appropriate water harvesting structures. All the stakeholders were brought under one umbrella, under the stewardship of the district collector. All sections of the society, right from social and religious groups to non-profits and corporates, supported the project in cash or kind. Are corporate bodies contributing to this initiative? Crowd sourcing for such a big scale initiative is new in India. What is the response from the communities? Use of the online web portal for reporting of works and for generating reports has been another important achievement. In this portal all works can be monitored. The donors can see the utilisation of every rupee. Complete transparency in the donation mechanism have won the hearts of people and no wonder we have received about R53 crore through crowd sourcing in the first phase. How are the structures being maintained? How do you ensure the quality of the structures constructed? Are the donors also tracking them? It is mostly the government which takes care of the structures. Wherever the works are implemented by non-profits or by corporate houses under corporate social responsibility activities, they opt to maintain those works. As far as ensuring quality is concerned, every detailed project report (DPR) was scrutinised multiple times. All the departments streamlined their activities at the planning stage during the preparation of DPRs. For the first time in state, geo-tagging of each work was done. It requires extraordinary effort, yet it is a must to monitor the quality of the structures. This shall be helpful in the post-abhiyan era also to monitor the status and sustainability of the structures. A mobile application was used to upload day-to-day work through photos so as to judge the pace of execution and point out deficiencies. Capturing everything online and making the whole process transparent has been the hallmark of this programme.